After all the reflection of 2010 I though it was high time I gave a rundown of all the books I'm excited for in 2011. 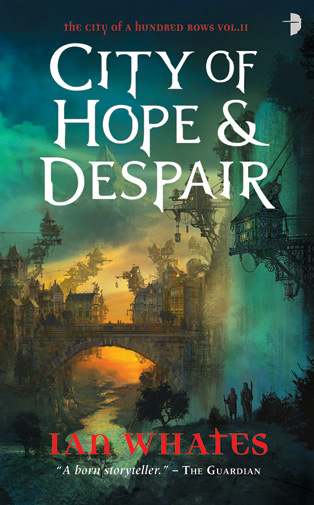 This list deals specifically with Fantasy and Cross Genre novels as my Sci-Fi and Steampunk list will be in another list per the style of last years Looking Forward pieces. 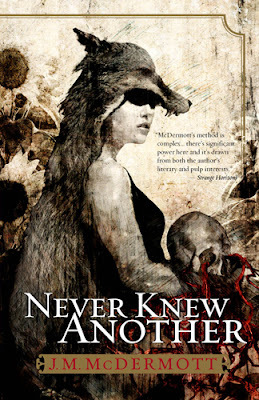 This list includes not only highly anticipated series continuations, but new series and debut authors I think have a chance of writing something memorable in the genre based off what sometime little information that is available. This Fantasy debut made some decent waves in the UK when it was release this year and we'll finally be able to get it in the US right after New Year. The Heart of the World is a land in strife. For fifty years the Holy Empire of Mann, an empire and religion born from a nihilistic urban cult, has been conquering nation after nation. Their leader, Holy Matriarch Sasheen, ruthlessly maintains control through her Diplomats, priests trained as subtle predators. When the Holy Matriarch’s son deliberately murders a woman under the protection of the Roshun; he forces the sect to seek his life in retribution. As Ash and his young apprentice set out to fulfill the Roshun orders, their journey takes them into the heart of the conflict between the Empire and the Free Ports…into bloodshed and death. This is one of the few 2011 releases I've already read. 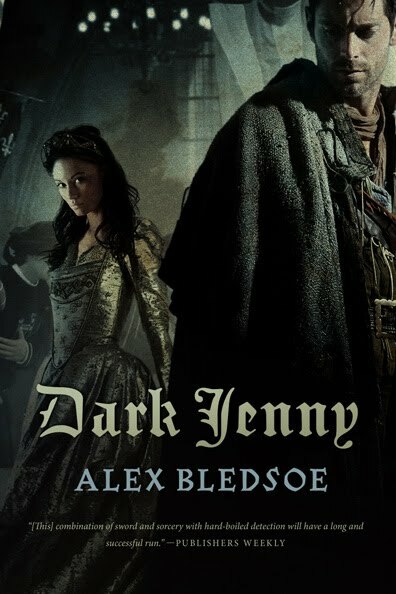 And if you found Best Served Cold too dark and sardonic for you than The Heroes should bring you back to the form enjoyed in the First Law Trilogy while also showing how Abercrombie's style has grown. This was one I was immediately drawn to because of the stellar cover. 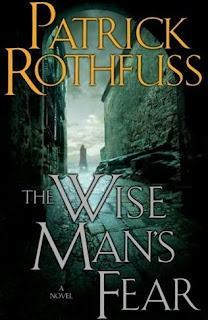 Rothfuss's WMF is one of the most highly anticipated Fantasy sequels of recent memory and will finally be here in few short months. Day two of Qvothe's story will finally unfold, but hold long until everyone demands day 3? My name is Kvothe. I have stolen princesses back from sleeping barrow kings. I burned down the town of Trebon. I have spent the night with Felurian and left with both my sanity and my life. I was expelled from the University at a younger age than most people are allowed in. I tread paths by moonlight that others fear to speak of during day. I have talked to Gods, loved women, and written songs that make the minstrels weep. You may have heard of me... So begins the tale of a hero told from his own point of view—a story unequalled in fantasy literature. Tome of the Undergates was a rocky journey, but there is something about it that draws me back in. Could be it reminds me of all the in-fighting if RPGing of the past along with some nice touches with a very different Fantasy world. The Tome of the Undergates has been recovered, and the gates of hell remain closed. Lenk and his five companions set sail to bring the accursed relic away from the demonic reach of Ulbecetonth, the Kraken Queen. But after weeks at sea, tensions amidst the adventurers are rising. Their troubles are only beginning when their ship crashes upon an island made of the bones left behind from a war long dead. They soon find out that the reach of Ulbecetonth is longer than hell can hold. Another UK hit will come across the pond and this time it involved werewolves and Norse mythology. That's a double win on my sheet. Bullington was one of the most original voices to come out of 2009 with The Sad Tale of the Brother Grossbart and it looks as though he is here to stay as his second novel comes out early next year and he has been signed for a third novel Hook and Cod. 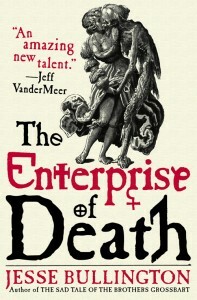 But first we'll have The Enterprise of Death to sink out teeth into. As the witch-pyres of the Spanish Inquisition blanket Renaissance Europe in a moral haze, a young African slave finds herself the unwilling apprentice of an ancient necromancer. Unfortunately, quitting his company proves even more hazardous than remaining his pupil when she is afflicted with a terrible curse. Yet salvation may lie in a mysterious tome her tutor has hidden somewhere on the war-torn continent. She sets out on a seemingly impossible journey to find the book, never suspecting her fate is tied to three strangers: the artist Niklaus Manuel Deutsch, the alchemist Dr. Paracelsus, and a gun-slinging Dutch mercenary. As Manuel paints her macabre story on canvas, plank, and church wall, the apprentice becomes increasingly aware of the great dangers that surround her. She realizes she must revisit the fell necromancy of her childhood – or death will be the least of her concerns. Bledsoe's Eddie LaCrosse series is still going strong. I was a bit surprised to see the new release moved from a hardcover to a paperback as well as a change in the direction of the cover art, but it seems fitting for this pulpy Fantasy adventure. Murder, betrayal, and magic--just another day on the job for Eddie LaCrosse. Freelance sword jockey Eddie LaCrosse is in the wrong place at the wrong time while conducting an undercover investigation on the island kingdom of Grand Bruan. When a poisoned apple kills a member of the queen's personal guard, Eddie becomes the prime suspect in the murder. He must do some fast talking to keep his head attached to his shoulders. While trying to clear his name and find the real killer, Eddie becomes embroiled in a nasty political scandal. Someone is trying to ruin Queen Jennifer and doesn't care who is killed along the way.The more Eddie digs, the more twisted the lies become, until Eddie finds himself caught between two opposing armies. The fate of the entire kingdom lies in his hands. The first in a new series called A Tale of the Kin. 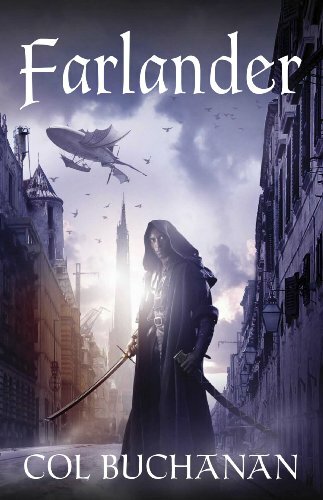 Looks to be very much in the vein of Brent Weeks so might be worth a look. Abraham is turning his highly capable skills to a more traditional Epic Fantasy series after The Long Price Quartet. Falling pebbles can start a landslide. What should have been a small summer spat between gentlemen is spiraling out of control. Dark forces are at work, fanning the flames that will sweep the entire region onto The Dragon's Path -- the path of war. 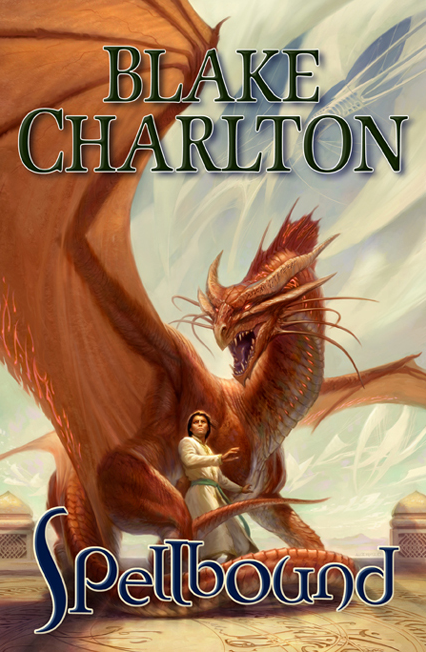 A new Epic Fantasy debut from what could be a huge series. 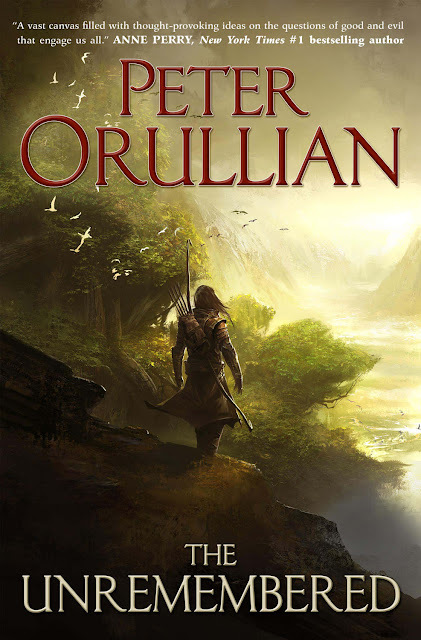 The cover took my breath away completely and Orullian is doing something interesting by releasing short stories placed in the world long before the story takes place. The first is already up at Tor.com. Tchaikovsky's Shadows of the Apt series got left off my best of list which surprised me, but it was a very competitive year in the Fantasy area. That doesn't lessen my desire to continue with the series as they are released in the states. Three generations ago Captain Vidar¬ian Rulorat’s great-grandfather gave up an imperial commission to com¬mit social catastrophe by marrying a fire priestess. For love, he unwittingly doomed his family to gen¬erations of a rare genetic disease that follows fami¬lies who cross elemental boundaries. Now Vidar¬ian, the last surviving member of the Rulorat family, struggles to uphold his family legacy and finds himself chained to a task as a result of the bride price his great-grandfather paid: the Breakwater Agreement, a seventy-year-old alliance between his family and the High Temple of Kara’zul, domain of the fire priestesses. The priestess Endera has called upon Vidarian to fulfill his family’s obligation by transporting a young fire priestess named Ariadel to a water temple far to the south, through dangerous pirate-controlled territory. 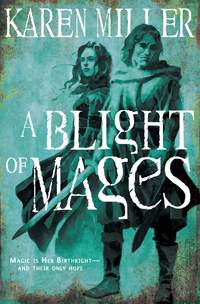 A journey perilous in the best of conditions is made more so by their pursuers: rogue telepathic magic-users called the Vkortha who will stop at nothing to recover Ariadel, who has wit-nessed their forbidden rites. Together, Vidarian and Ariadel will navigate more than treacherous waters: imperial intrigue, a world that has been slowly losing its magic for genera¬tions, secrets that the priestesshoods have kept for longer, the indifference of their elemental goddesses, gryphons—once thought mythical—now returning to the world, and their own labyrinthine family legacies. Vidarian finds himself at the intersection not only of the world’s most volatile elements, but of colliding universes, and the ancient and alien powers that lurk between them. I discussed this about a month back. There is not enough humor in Fantasy. All too often things get bogged down in politics so I'm glad to see something that takes a different route with a point of view we seldom see. Centuries of plotting from the heart of the Iron Keep, deep within the dark lands of Kirol Syrreth—all for naught. Foiled at the last by the bumbling efforts of a laughable band of so-called heroes, brainless and over-muscled cretins without sense enough to recog¬nize a hopeless cause when they take it on. Machina¬tions developed over generations, schemes intended to deliver the world into the Dark Lord’s hands, now devastated beyond salvation. But the so-called forces of Light have paid for their meddling with the life of Princess Amalia, the only child of the royal family of Shauntille. 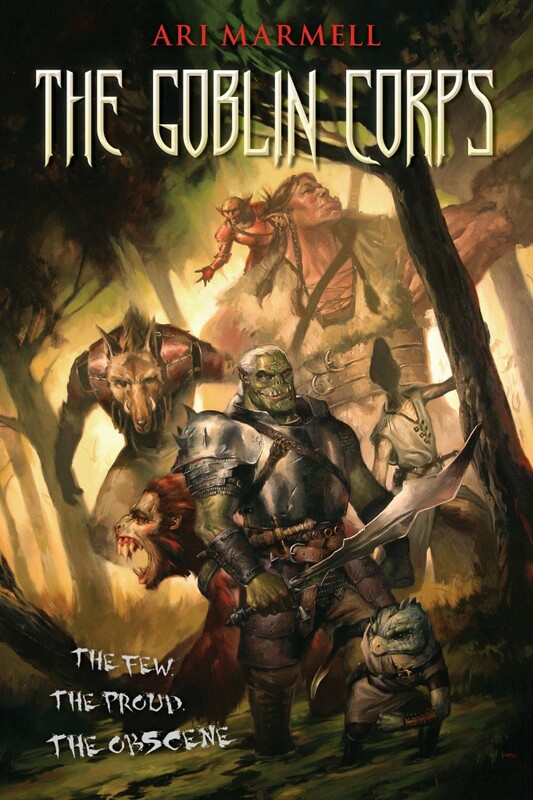 “The Goblin Corps is both very dark and extremely humorous. Whereas I’ve already written novels about some fairly gray antiheroes, the protagonists of Goblin Corps are actually the villains. The novel follows a squad of goblin soldiers—an orc, a troll, and so on—during what might be the final days of an evil empire facing attack from the combined forces of humanity and the other “good” races. My previous novels have a thorough mix of sarcasm, tongue-in-cheek humor, and brutal violence—but this book takes both of those even further. As I said, we’re following the villains here. This is getting touted as the next big thing in Fantasy as major deals were struck in both the US and UK. 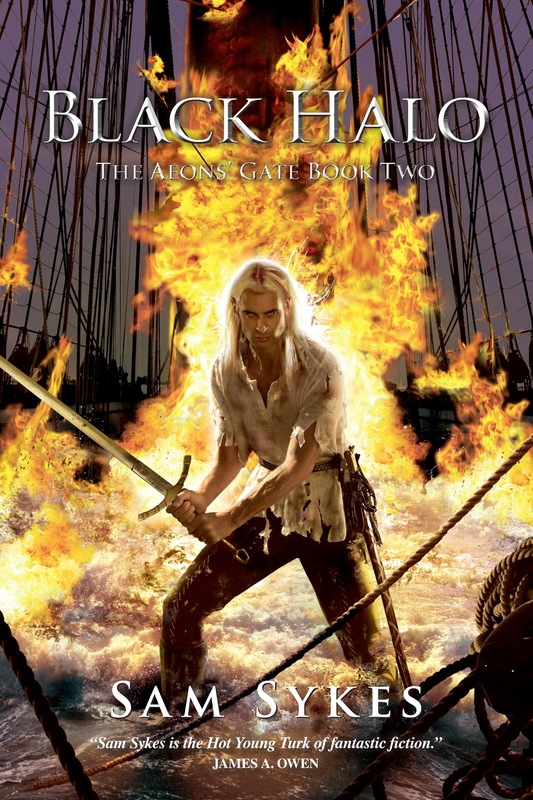 The series is known as the Broken Empire Trilogy and is being ptiched as "introducing a compelling new anti-hero and his ultra-violent world, pitched as the best of Brent Weeks and George Martin." Time will only tell if it can live up to that. One surprising thing was the slim page count given the comparisons to Martin and Weeks both known for thick books. Both the US and UK editions are under 400 pages. 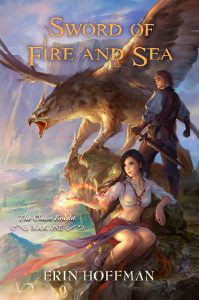 This a prequel to the Kingmaker, Kingbreaker duology that establish Miller as a force in Epic Fantasy. We'll finally get to see what led to the Dorana moving south and Barl creating the wall. There should be plenty of action as Mage battles are sure to ensue. Spellwright brought me back to the style of Fantasy I love growing up and I'm eager to see how Charlton further develops his world and the plight of Nico. Grossman's The Magicians was one of the most surprising Fantasies of 2009 and and this is one of my most anticipated titles for 2011. It seems to still be on schedule, but the formal release date has not been announced. A Thursday Next book is an automatic for me. Fforde's imagination is unbounded as he twists and turns inside the world of books. The last novel in the series First Among Sequels felt like a setup just for this so I can't wait to get on with the story. 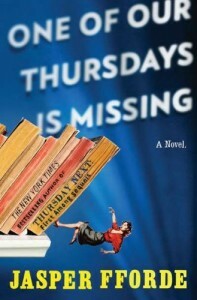 After this Fforde anticipates one more Thursday novel to finish everything out. After Whates' debut City of Dreams and Nightmare left me wanting more and more about this strange city. Dark forces are gathering in the shadowy depths, and the whole city is under threat. The former street-nick, Tom, embarks on a journey to discover the source of the great river Thair, said to be the ultimate power behind all of Thaiburley. Accompanying him are the assassin Dewar and the young Thaistess Mildra. It soon becomes evident that their journey has more significance than any of them realise, as past secrets catch up with them and unknown adversaries hunt them... to the death! The Legends of the Red Sun series dominated my year end best of list to say that I want to reading the third volume is something of an understatement. This volume also returns to Villjamur, which I like better as a setting than Villiren. Yes, I missed the ancient dank. A new and corrupt Emperor seeks to rebuild the ancient structures of Villjamur to give the people of the city hope in the face of great upheaval and an oppressing ice age. But when a stranger called Shalev arrives, empowering a militant underground movement, crime and terror becomes rampant. The Inquisition is always one step behind, and military resources are spread thinly across the Empire. So Emperor Urtica calls upon cultists to help construct a group to eliminate those involved with the uprising, and calm the populace. 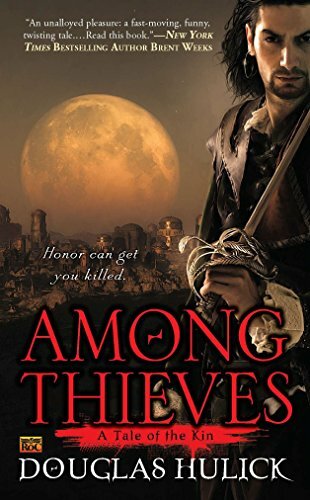 But there’s more to The Villjamur Knights than just phenomenal skills and abilities – each have a secret that, if exposed, could destroy everything they represent. The third book of the Ketty Jay should see the light sometime this year, but the August date may slip as Wooding scraped his first draft only to start anew. Either way I'll need my fix of adventure in the sky with a crew that has become like family. I was chagrined when I heard this sequel to the fabulous Bitter Seeds was pushed from February to October because they're trying to establish the first book a bit more and make sure people find it since it is much a melting pot of genres: Superheros, Strange Science, and Dark Magic.. Understandable, but still disappointed. Either way I'll be there. Also, the mass market version of Bitter Seeds comes out the month prior. I wasn't where to put this one so I threw it in the odd ball section since it does mix a lot of things in such as Pulp, Vampires, Steampunk, and Adventure. No title or info has been released, but the authors have mentioned a few times now that the second book is nearly done and should be out in the 2nd half of 2011. After the fun affair I had with The Greyfriar I'd like to see how the raise the stakes. 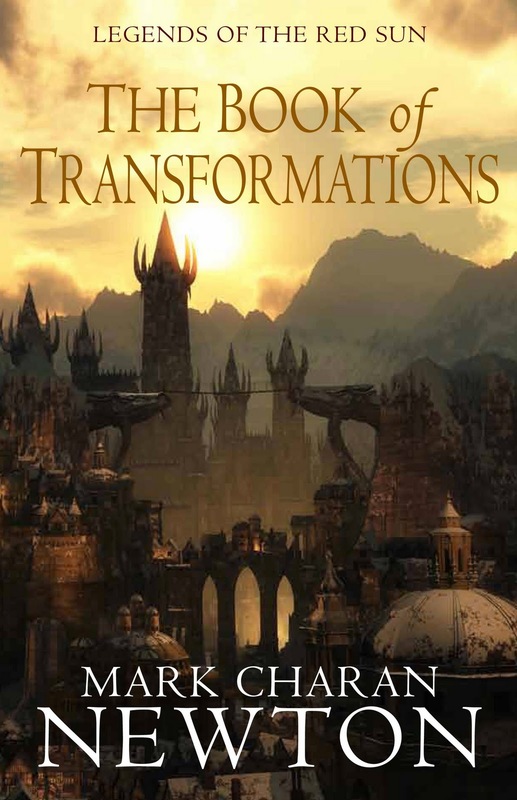 The penultimate novel in the Psalms of Isaak series is up in the air slightly as Scholes admitted some personal issues have slowed him down a little, but we will see it hopefully in 2011. Huso's sophomore effort after the resounding The Last Page is one of those books I'd nearly trade my soul to read. Word on the street is it is done and should be out later in 2011. Great list! The Wise Man's Fear can't get here soon enough. Wolfsangel sounds good. Prince of Thorns sounds a little weak. 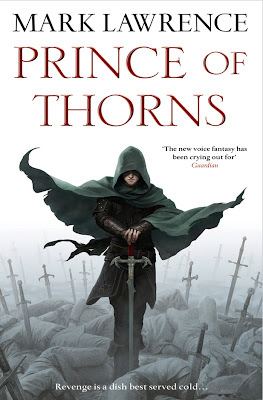 A couple small reviews have been cropping up about Prince of Thorns and so far they've been pretty glowing. What no GRRM or Lynch? I've been following your blog for about a year now, so thank you for all the great recommendations and reviews. I would like to know how it would be possible for me to do what you do? If you like humor in your fantasy, I have two words for you: TOM HOLT. His newest fantasy novel, "Life, Liberty, and the Pursuit of Sausages," is due in February, and he has a rich backlist for you to sink your eyeteeth into. (Picture Douglas Adams, alive and writing modern fantasy, and you'll have it about right.) You've got Jasper Fforde on your list; Holt should be right up your alley. @RevBob - I have read a couple Tom Holt books over the years with Djinn Rummy being the one that stood out the most. I also have two unread omnibuses hanging around. I think one is Divine Comedies containing Here Comes the Sun and Odds and Gods and the other might have Valhalla. Are any of those particularly good? I'd love to add GRRM and Lynch to the list, but I tried to only include books that have been confirmed in some way. Either by the author or publisher. Lynch was at one time confirmed, but than slipped and there has been nothing but silence since from Lynch and his publishers. GRRM is always close and yet far away from being done. Still any of these could presumably slip, especially those later in the year. Do you think Abercrombie's "Heroes" will be as good as the First Law Trilogy? Do you think the Lev Grossman can take his work to that next level? What is your favorite Jasper Fforde novel? 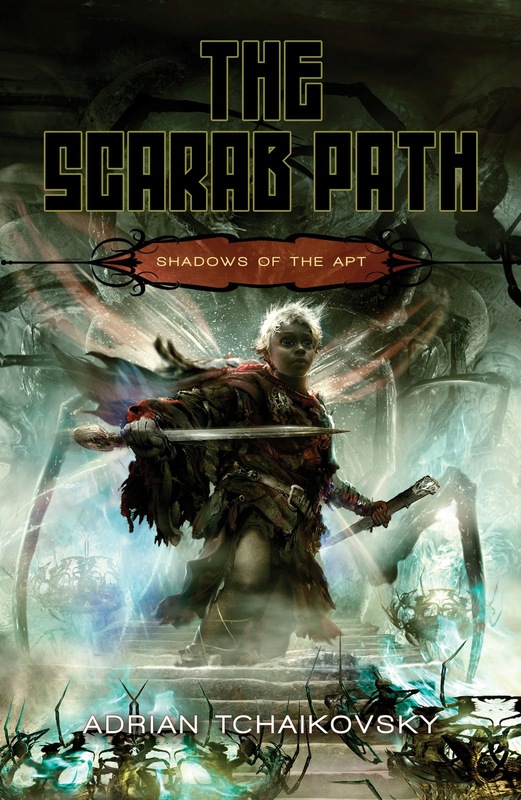 I've only read "Shades of Grey" And I have to say I was a little disappointed in "The Scarab Path," but hopefully he comes back better next time around. And I was talking about Tchaikovsky coming back better next time, it looks like I was talking about Fforde. @MHR - I recommend Holt pretty much unconditionally. That said, of course some books are better than others, and a downside of absurdist updates to classic mythology is that they can blur together in the memory. Valhalla was typically hilarious in terms of what happens when bureaucratic logic meets fabled paradise. Odds and Gods, if I recall correctly, has the retired Norse pantheon living in fear of their own Nurse Ratched...until that brash upstart Thor gets an old car working and a road trip ensues. Here Comes the Sun takes the old idea of Apollo's chariot and makes the sun a complex antique mechanism that's been shoddily maintained and is about to break down catastrophically. You'll no doubt see some common themes here. The hapless Ordinary Guy (or god) versus implacable bureaucracy, twisted (anti-)logic, and absurd situations...that's straight out of Douglas Adams, just as fantasy rather than SF. Flying Dutch, Expecting Someone Taller, Grailblazers, Who's Afraid of Beowulf - much of Holt's work uses these same core ingredients, in conjunction with unexpected epilogues to familiar stories, time and again. It's a formula, but one that consistently delivers. If you like one, you will probably like them all, and I like many of the same things about Holt that I do about Fforde. And, with THAT said, Holt's more recent work - since The Portable Door - spins off into a different direction by establishing an actual series based around a diabolical corporate firm and, yes, the hapless folks caught up in its gears. That series, in my opinion, outranks the widely lauded Hitchhiker's Guide series.